Our pumpboat ride from Lavezares ended at Barangay Sto. Niño, Biri Island, from where we took a habal-habal (a modified motorcycle that can carry more than two passengers) to bring us to Barangay Poblacion (the municipal capital of Biri). Along the way, we asked our habal-habal driver which resort he could recommend. He immediately replied "Sa Villa Amor, maganda dun." 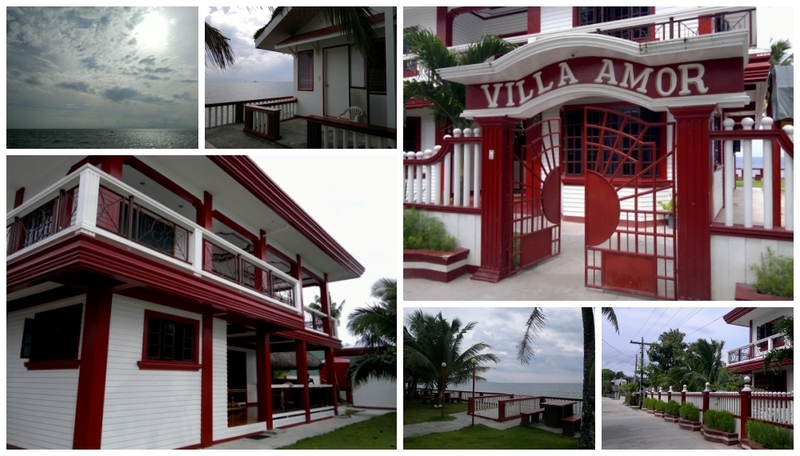 (Villa Amor is a nice one). Villa Amor is owned by a Filipina-Australian couple and is the only sea-side resort on Biri Island. It has three fan rooms and one air-conditioned cottage room. They have a spacious lawn where you can enjoy your meals or drinks while admiring the San Bernardino Strait. Electricity on Biri Island runs for only 12 hours (12:00 noon to 12:00 midnight). This shouldn't be a huge cause of concern. Being a sea-side resort, there is abundance of sea breeze. Just open your room windows and you will surely have a goodnight sleep. We stayed in one of the three fan rooms, the one on the left right next to the patio facing the sea. If you choose to stay in the aircon cottage room, the resort has a power generator that run the aircon at night, though there will be an extra charge for the generator's fuel. The resort doesn't have a restaurant, but the resort staff can cook your meals at a minimal charge of PHP150.00-200.00 per meal (rice & viand) depending on how small or big your group is. They have a small convenience store where you can buy rice and canned goods. You can also walk to the market to buy fresh fish. Just tell the resort staff how you want your food cooked and what time you will eat. Chicken and pork are quite expensive on Biri Island.